Everyone with business cards can use Magnetic Business Card (M.B.C.) 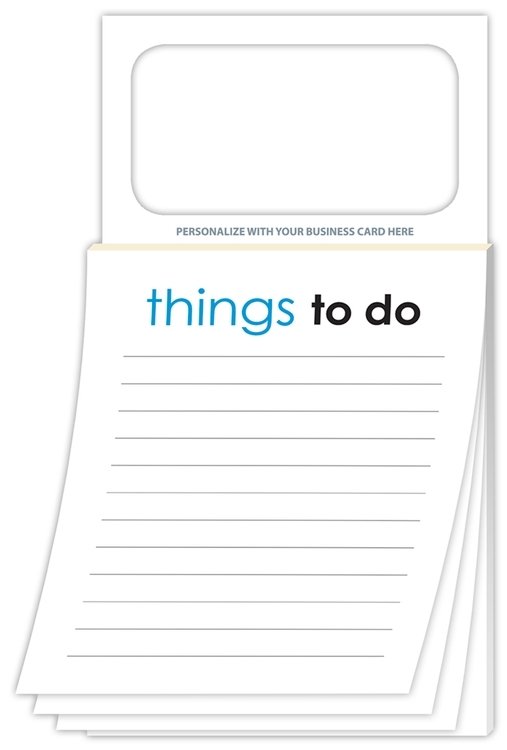 Notepads to keep their name in front of customers. An instant imprinted 50-sheet gift item for trade shows and sales meetings, or use for sales calls and prospecting. Available to ship within 48 hours or less. Order in increments of 100 only. Everyone with business cards can use Magnetic Business Card (M.B.C.) Notepads to keep their name in front of customers. Available in 48 hours or less, you can have an instant imprinted 50-sheet gift item for trade shows and sales meetings, or use for sales calls and prospecting. Simply peel off the protective liner and press your business card onto the exposed adhesive for an instant imprinted specialty item. Available to ship within 48 hours or less. Order in increments of 100 only.